Travelling is one of the best experince. If long lines and crowded roadways are not your idea of a vacation, then make sure you prepared, because it&apos;s going to be one of the busiest travel seasons. To ease your holiday headaches, we have come up with a list of 10 travel apps that traveler should use and improve their overall travel experience. In fact, we&apos;re willing to bet that after one trip you&apos;ll start to wonder how you ever managed to travel without them. 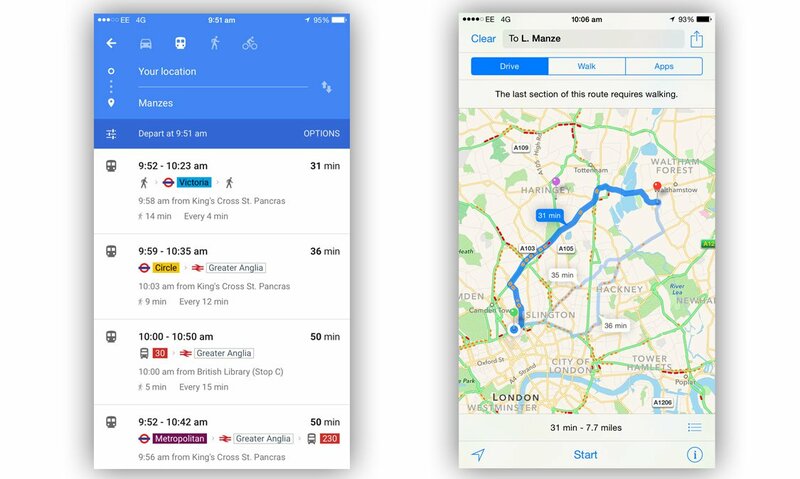 The recently launched new Google Maps app offers faster and more navigation options such as a transit route with less walking and provides live traffic or accident information en route. Taking Google Maps with you is one of the best options to explore new places. Traffic updates, public transit, city tours with 360-degree street views, plus a voice-guided, turn-by-turn GPS navigation are merely some of the features this mobile app offers so you can navigate like a pro. This translator can be a useful tool to support your travelling, like your pocket size interpretermore, serious language learning, but realistically, it’s most useful on a practical level quickly translating day-to-day words you come across on your travels. 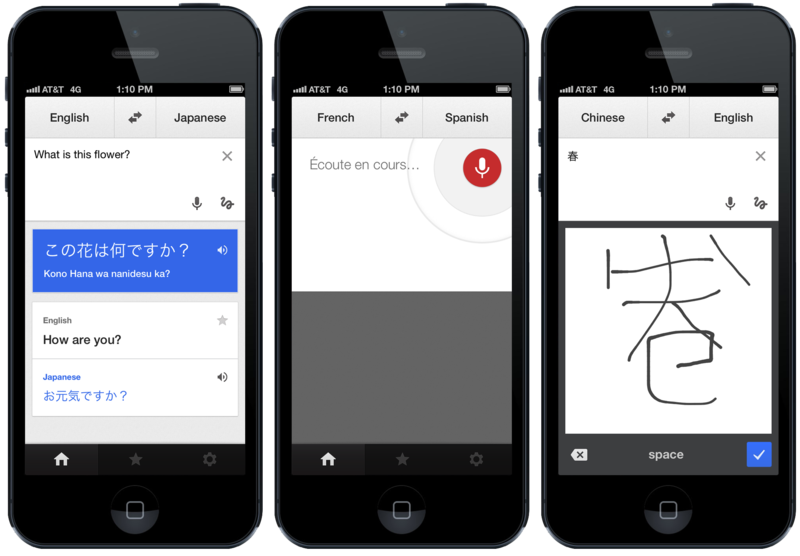 In addition, visual translation features have just been added, allowing you to translate text and signage with the aid of your camera. You won’t feel completely lost at your destination. If you&apos;re traveling internationally, converting currencies in your head can be painful. By using any standard currency converter on your smartphone, XE Currency Exchange supports just about every national currency used worldwide, with the ability to track up to 10 simultaneously. 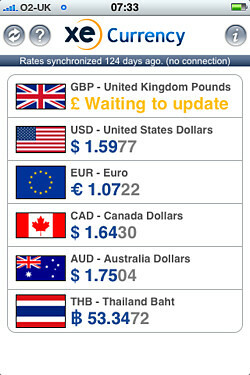 Apart from just an accurate currency conversion app, it provides the historic rates for the currency. You can monitor different currencies simultaneously and rate the highs and lows of the currency before even planning the trip. Stop trying to decipher the weather forecast on the evening news (particularly when it&apos;s in a foreign language). 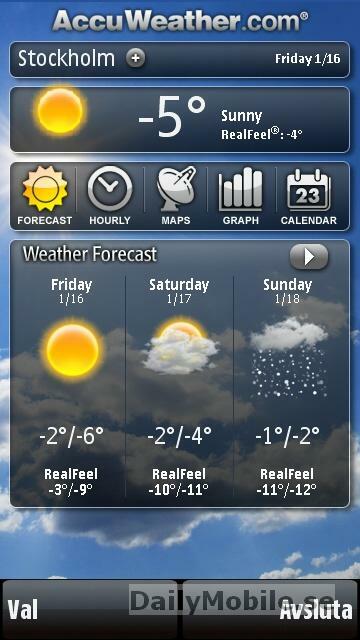 With its simple interface, the AccuWeather app informs you (in English) of the climate in multiple locations. It features the local time, temperature, humidity, visibility, wind speed, and other key factors that will inform your decision about what to wear before stepping outside. SkyScanner (Android, iOS) is a great tool for travelers looking for the perfect deal on domestic and international flights. 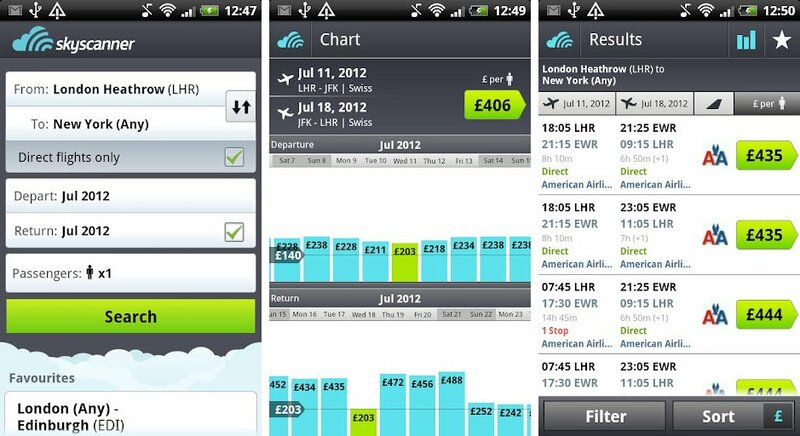 SkyScanner works its magic by comparing prices across millions of flights. 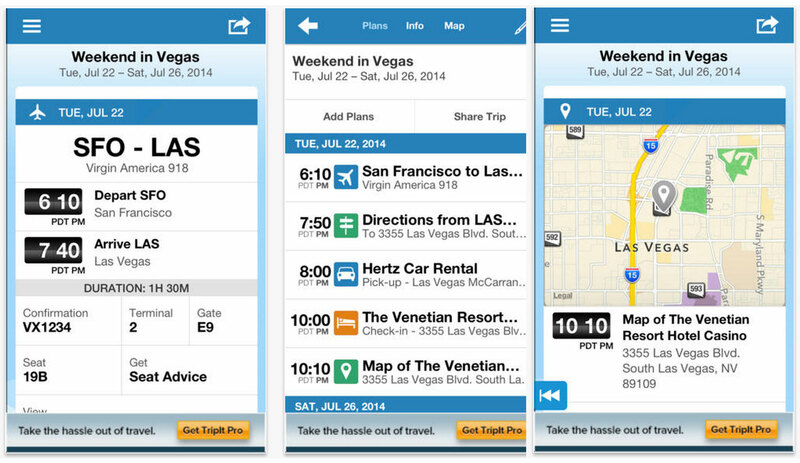 From there, users can even book flights directly from the app with provided links to travel agents or airlines. Flights can be filtered by airline, cabin class, price or takeoff and landing times, with weekly or monthly chart views to check out prices over time. Use it in conjunction with an app like Yapta, which holds cheap prices for a small fee, and you’ll be on easy street. With data roaming charges still laughably high in many places, knowing where to find a decent wi-fi hotspot is essential if you’re to keep the twitterati up to date with details of your latest sojourn. As a modern traveler, you can feel stranded and helpless without Internet access. 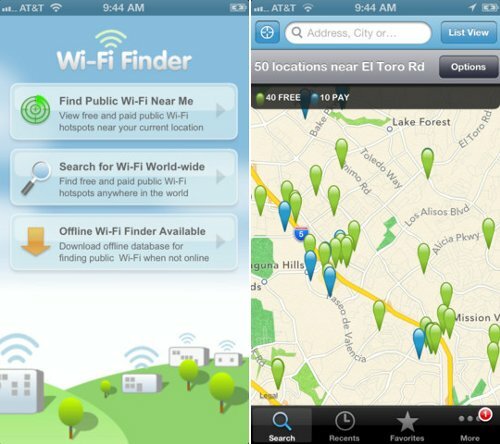 The Free Wi-Fi Finder by JiWire shows where you can find free wireless connections in urban areas. You can search with a directory or simply enable the Wi-Fi scanner to locate the nearest hot spots. 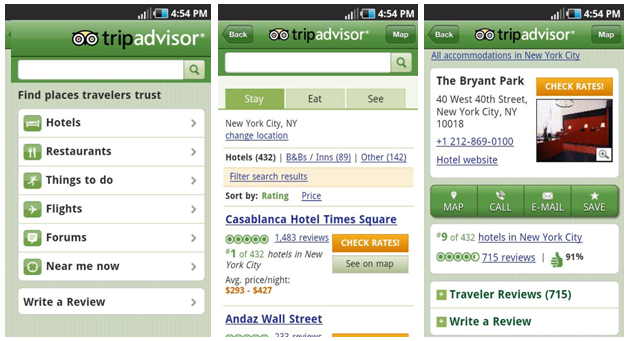 TripAdvisor (Android, iOS) is your crowd-sourced guide to hotels, restaurants and attractions worldwide. TripAdvisor allows you to browse through millions of reviews, images and videos featuring various establishments worldwide. You can also access contact details; search for nearby establishments; explore restaurants by food type, price range or rating; check out air fares; and even add to the knowledge base by posting your own reviews, images and entries for the places you visit. There are plenty of theories floating about concerning the best methods for beating jetlag, but the pointy heads at The University of Michigan are better placed than most to give scientific counsel. 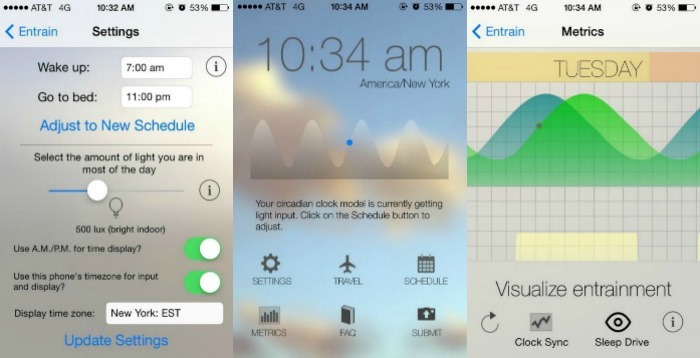 This app helps you to adjust your biological clock to new time zones by making it easier to control your exposure to light, which helps you alter your sleeping times before setting off. Tripit pulls together travel information from your confirmation emails for flights, hotels, train tickets, rental cars, events bookings and converts it into a single itinerary. You can sync your trip plans with your online or mobile calendar, share itineraries and post travel plans on your social network. If you’re travelling with others you can easily share the plans, create a things to do list, making this a useful app for coordinating a group trip.